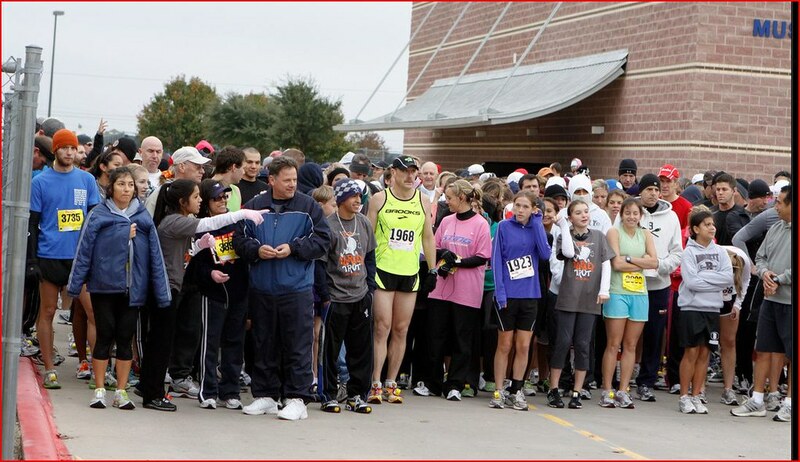 This was the third year for me in the Sachse Turkey Trot a low key 3 mile race. Like last year, Reagan came with me and we also brought her buddy Carson. The weather was threatening to be a factor, as a nasty cold front blew in right before the start of the race. Rain was in the forecast, but we did not see any rain. It was around 50 degrees at the start of the race, but the wind was blowing very hard right out of the north. The race course is a modified out and back, with 1.5 miles due north straight into the wind. That was going to be challenging. I noticed that the guy who won two years ago was back this year. But my masters nemesis from last year was not. Who is the only numskull in shorts and and a Singlet? At the start all of the kids went out hard. I slowly picked them off. Up front the guy from two years ago and one other kid in Sachse HS colors was running with him. Then there was one guy in Boston Red Sox hat and me. As we headed south on Miles and hit the hill leading up to 190 the Red Sox dude pulled in front of me by 10 meters or so. We turned around and now had 1.5 miles into the wind with a slight down hill for a quarter of a mile and then gradual up hill. About halfway to the turn around, I finally caught red sox guy and pulled ahead of him. The high school kid was about 20 meters in front of me and running strong. We turned around at sachse road and headed south with the wind. That felt great. About a half mile to go I caught the high school kid. He took one look at me and kicked it into a gear that I did not have. 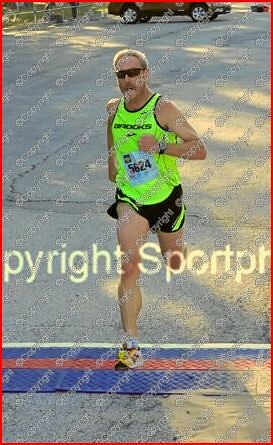 That put me in third place for the third consecutive year (18:45). And won my age group. 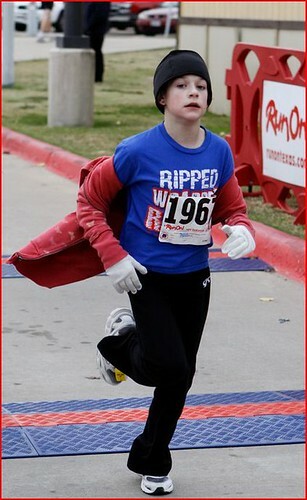 Reagan was fourth in the under 12 age group (second 10 yr old) and Carson was fifth in the under 12s and first 9 year old. Solid interval runs on Monday, and a nice hilly tempo run in Austin on Thursday. No bike this week due to Marissa's Soccer Tournament. Killer swim on Friday with ron - 24x100 - wow! Saturday Nov 20: 8 Miles Run. 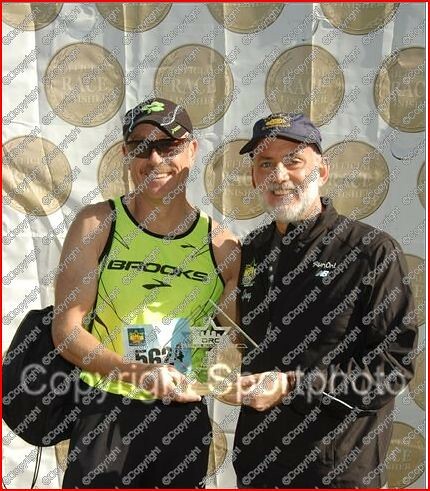 I had unfinished business with this race from last year, where I was passed twice in the last half mile by two masters runners. This year, I was in much better shape, and what a spectacular morning for a run. I went out pretty hard from there start. This really tall kid wearing some cross country shoes took the lead and I was right behind him. I held that position until the top of the hill that leads from East Lawther up to Mocking bird. At that point an aztecas runner went by me. I stuck with him until West Lawther when both he and another really young kid pulled away. I hit the mile in 5:45 - which was slow relative to the track session I had on Wednesday. And that was the race - decided in the first 3/4 of a mile. I ran the rest of the race by myself. With those three guys in front. I hit the two mile in 11:53 and the three mile in 18:03. Finished in 18:40. 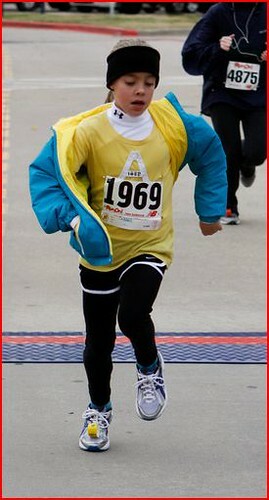 It turns out the kid in the cross country shoes was a bandit. So I was third overall first masters. Ironically this was my first masters win this year. 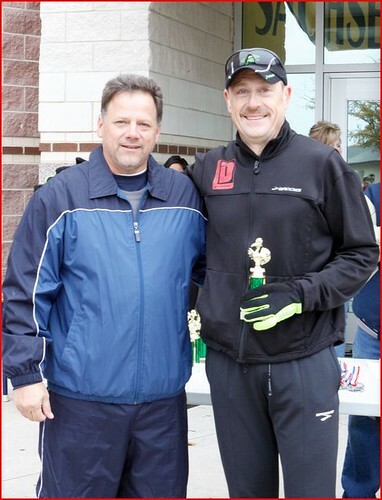 So far the three 2009 races that I had won overall masters last year, I did not win again this year. 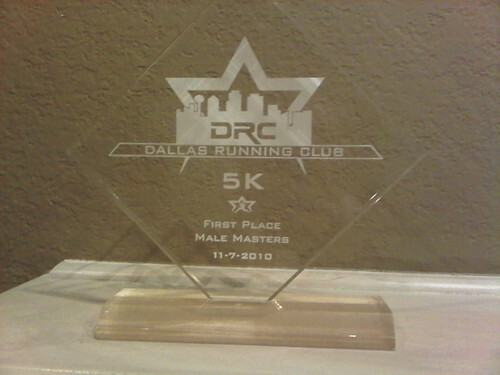 And this race that I lost Masters last year, I won. Go figure. 1) Remind us that we need a stupid ID for the beer garden. Sheesh who brings thier ID to a race?? 2) Get it together on the results. They were screwed up last two years in a row.